Smith Sustainable Design is committed to a green solution for you, by delivering the highest-quality solar hot water systems at affordable prices. We have set out to redefine the role of solar companies by offering the highest level of customer service in the industry while providing turnkey engineering, procurement and construction services to meet your individual solar hot water needs. We believe this sets us apart from other firms in the industry. 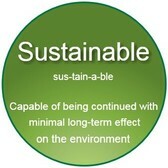 Value, quality design, experience, and superb customer support are what make Smith Sustainable Design the right choice.